In baptism, parents thank God for his gift of life, publicly acknowledge his love, make a decision to start the child on the journey of faith and ask for the Church's support. In the Anglican Church (Church of England) it is common to baptise young children; this is sometimes known, outside the church, as christening. 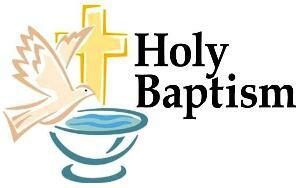 Baptism Application Form 2018 <please click here to download the latest version. BAPTISM SERVICES ARE USUALLY SUNDAYS AT 12.45pm & 2pm.